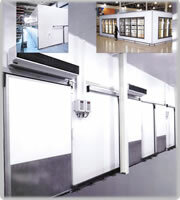 Commercial Applications Remote and Self-contained Units. 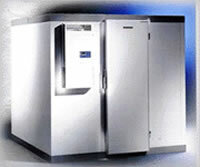 Modular built walk-in coolers, freezers, temperature controlled rooms, and refrigerator monitoring systems. 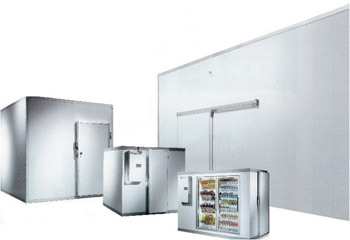 Polar Star provides the entire walk-in package including the refrigeration system, glass doors, strip curtains, ramps, and shelving. Top of the line accessories are used to compliment our walk-ins. 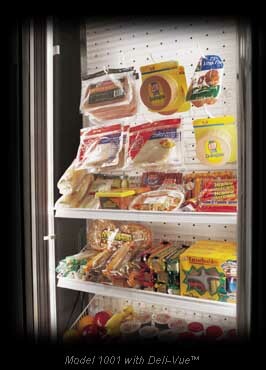 Refrigeration systems are available in several different configurations. Systems can be top mount self-contained or side mount self-contained, remote indoor, remote outdoor and pre-assembled outdoors. 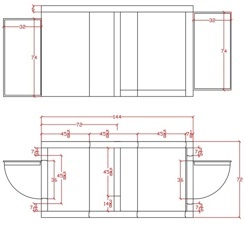 These systems are engineered according to the customers specific requirement. Walk-In Cooler, Polar Star, 5' x 4' x 7', combination of walkin cooler and walk-in freezer Controller for Cold Storages, Solenid Valve, Fan, Alarm and Defrost Heater, Real Time Clock.